When will be Rob Roy next episode air date? Is Rob Roy renewed or cancelled? Where to countdown Rob Roy air dates? Is Rob Roy worth watching? 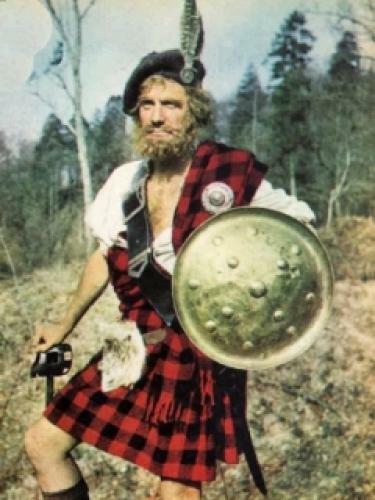 Rob Roy is a blend of adventure, intrigue, and romance (with Samantha Eggar as Diana Vernon), fights, tartans, skirling pipes, the burr of the Scots' tongue in one or other of its forms, and Rob himself. Tom Fleming, born in Edinburgh, plays Rob Roy as a heroic and superhuman blend of courage and cunning. All the open-air sequences were actually filmed in Scotland, many of them on the actual spots as Abberfoyle in the Trossachs, where Sir Walter Scott set his novel. EpisoDate.com is your TV show guide to Countdown Rob Roy Episode Air Dates and to stay in touch with Rob Roy next episode Air Date and your others favorite TV Shows. Add the shows you like to a "Watchlist" and let the site take it from there.